My family is a busy, bustling and active bunch made up of two working parents, two very energetic and fun-loving kids, ages 10 and seven, and a sweet three-year-old chocolate lab named Violet. Our lives are pretty typical of most Denver metro-area families, running the kids around to activities and sports after school while maintaining meaningful careers in the field of environmental and energy law. There is never a dull moment and usually not much time to devote to reducing waste in our own home. We already own a highly energy efficient home with solar panels for heating and cooling. We drive only one car for our family of four, with my husband and I utilizing RTD public transportation to get to work. So, we already prioritize eco-friendly personal choices in our home and family. Our kids understand and value the part we all play in bettering life on this planet. It is one of our central core values as a family. Since starting as senior public lands attorney with the Center for Biological Diversity in 2016, a tenant of The Alliance Center, I began to educate myself about my family’s personal waste stream and how we can begin to minimize trash beyond just recycling at home. The Alliance Center has a hard to recycle station in the building with information on what items can and cannot be recycled and what is actually landfilled. I learned a great deal from this station and the informational emails that would go out to tenants at The Alliance Center on how to use the station. The Alliance Center also composts food waste. Back in 2016, our family would generate about two bags of trash for the landfill every week, even while doing our best to maximize our municipal recycling. We committed to cutting that landfill waste in half by utilizing The Alliance Center’s hard to recycle station for items that couldn’t be recycled by our municipal recycling program. Then, in 2017 we signed up for Denver’s municipal composting program. By 2018, our family reduced our landfill trash to one full trash bag a month, beating our goal by 175 percent. We realized that most of our municipal trash was comprised of food waste and non-recyclable plastic bags, bathroom and cleaner waste, and foil-lined bags/tubes, which The Alliance Center takes to recycle. I bring a small bag full of these items to the Alliance Center every week, and it has made a big difference in our total family’s waste stream. My kids and husband have learned which items go into which bin (or recycle bag for mom’s office). We introduced this commitment to reducing waste into the core of our daily family routine. It is not only good for the planet, but good for our own well-being. Self-care, care of others and planet-care go hand in hand. While our family might not be totally zero waste in the foreseeable future, we have made it a priority to be as low-waste as possible. The Alliance Center has given us the opportunity to do just that. I recently joined The Alliance Center’s Board of Directors, and I’m excited to lend my expertise as a green building expert. This isn’t the first time I’ve been involved with The Alliance Center, though. And in fact, The Alliance Center is the reason I even got into green building in the first place. In the early 2000s, I was a freelance writer specializing in architecture, design and art, and while I collected some nice bylines, I was bored senseless writing about bathroom re-dos in Mapleton and 12,000-square-foot baronial ski castles in Beaver Creek. I was pretty clear that few people bothered to read my carefully crafted articles beyond skimming the pretty pics, and my stories certainly weren’t making a difference. In late 2004, Historic Denver, asked me to write an article about a renovation near the mostly boarded-up Union Station. The project? The Otero Building formerly owned by Tattered Cover founder and Denver legend, Joyce Meskis. The building was called The Alliance Center, and Historic Denver would be one of the first 20 tenants there. There were a number of news hooks for the project, and I interviewed John Powers, Janna Six and Dennis Fleming, the project manager. A board member for the Colorado Environmental Coalition, Powers had spent time in the Tattered Cover next door to the Otero building, seeing all these well-meaning but impecunious nonprofit groups scattered throughout the building, competing for the same donors and clueless about how to pool effort and resources. In early January 2004, Powers started looking for permanent digs to bring all these groups under one roof. Meskis would sell the building to the newly formed Alliance for Sustainable Colorado (now The Alliance Center) for $4.625 million, with Powers putting down $250,000 and collateralizing his home for the construction loan. Powers and Six also bought the lot next door with the intention to raise another tower with rentable space. The kicker for me was that the building was pursuing LEED certification, a relatively new green building certification starting to be used with new construction. But the Otero Building was older, built in 1908 with renovations in 1951. So, the LEED Existing Building Operations & Maintenance (EBOM) certification was a big deal, with only a handful of other projects in the country housing nonprofits and retrofitting to the LEED, above-code standard. The article itself was a deep dive into the world of high-performance building – bricks and mortar that rode easier on the planet – and I burned through a couple of pages trying to (1) help my readers get their heads around green build, and (2) getting my own head around it. Beyond pretty pics and wind turbines in the sky, green building was cool, I was hooked, and I decided wanting to be a LEED professional someday. Fast forward to 2008, and my partner was in an MBA program at Drexel University. 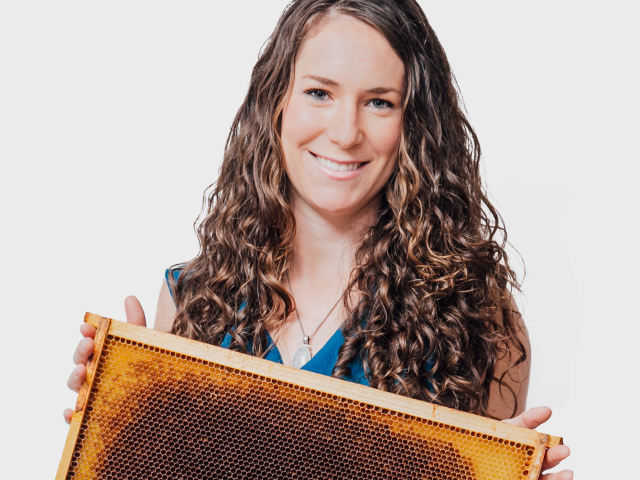 She was also heading sustainability (aka “resource management”) on the supply chain for a food manufacturer. We knew we wanted to work with bricks and sticks. We both knew that sustainability was the bomb, our raison d’être, and yet we also saw how those good sustainability folks got patted on the head and sidelined in grownup real estate conversations. So, we created a hybrid company we called GreenSpot Global, with both deep in-house sustainability expertise and real estate transactional capability. I got my first of about a dozen certifications – my LEED AP EBOM. Perhaps most importantly, we recrafted our mission four years ago to create and renovate regenerative property, spinning energy, carbon, water and waste meters backwards. From the hybrid nature of our business, I identified the “Four Steps to Higher Value for Green Build,” bridging both the wonky world of sustainability and the high-stakes game of real estate deal making. And it all started because of one little assignment on The Alliance Center, which Janna Six says was one of the first write-ups the Alliance got. Would I have found my way into my career-as-calling without The Alliance Center? Probably, but the Alliance was like a compass needle for me, fixing on my true north. So, it’s fitting for me to be back here 15 years later, bringing what I’ve learned and will continue to learn as a board member, all because the center was a polestar for me when I was ready for more. Click here to read the story that started it all! Let’s talk about urban gardening! Of course growing your own food is fun and rewarding, but what’s more is that it may lead you into eating more fruits and veggies; you can control what chemicals and pesticides you want, or don’t want, to touch your food; and it may save you a few dollars during your next trip to the grocery store. Not to mention, we think you’ll have a good time in the process! Here are seven tips to making your urban garden sustainable, unique, and vibrant! To learn more check out a workshop at The GrowHaus on the second Saturday of every month. Compost is not as complex as it is often made out to be. An old trash can or two, with holes punched for drainage, and potentially painted with fanciful designs, can make for a worthy bin. What’s more, diverting food scraps of almost any kind from the landfill is one of the best ways to reduce your waste footprint! There’s really no reason to spend energy and time digging up your garden. Tilling the soil can degrade nutrient content and destroy the microbial ecology that is great for your garden, while leaving your soil exposed to the harmful effects of the sun. Worms and bugs help to fertilize our soils naturally, and continue the cycle of life! Once your garden is in shape, leave it be, and don’t compress the soil by walking on it! In addition, add mulch or other browned plant materials around your plants to help retain moisture (especially in the dry climate of Colorado). Straight-line rows are so last season. Consider designing your garden with non-traditional drainage ridges. Mandala, keyhole, and terraced designs are good ways to construct your garden that aren’t the traditional rectangular rows. These designs maintain a creative flair while also allowing footpath access to the edges of every bed of plants. Incorporate natural elements such as rocks, wood, and water. Adding environmentally sound aesthetic to your garden can make it appear more natural and help you avoid using unnecessary plastic or metal boundaries in your garden – items that will inevitably degrade over time. Stone, slate, field stone, and dry wood are all useful additions to decorate your garden with – not to mention repurposed items of a vintage flavor, for decoration. Herb spirals are a fun way to create gardens in small spaces, for plants that need different levels of shade, like those of herbs and spices. A mound covered with a spiral or other patterned design is a beautiful way to include excess rocks, pieces of concrete, or any material that supports small amounts of soil and plant material. Succulents and creeping plants are other garden items that live and look well in rocky terrain. Advanced systems could include water collection through rock rivers, retention basins, and the stepped up addition of an aquaponics or vertical garden. Fish ponds, aquariums, and vertical constructions that use eaves, gravity irrigation systems, and other additions will make your neighbors jealous! Permaculturalists sometimes classify vegetables and other plants according to their growing style. Diggers like tubers loosen the soil, crawlers cover the undergrowth, protecting soil. Climbers wend their way up supporters like trees and corn stalks, feeders provide nitrogen plant food to the soil. Protectors can repel insects and other pests, and so on. Growing plants that complement one another has a learning curve, yet that’s part of the fun! Tomatoes could be supported by bush beans and zucchini, with an intermixing of herbs, spices and flowers. Example guild guides can be found online. Having a garden is an expression of natural artistry. Make something truly yours, using your favorite plants, farm animals, and other innovative additions. The sky is the limit when you’re growing! 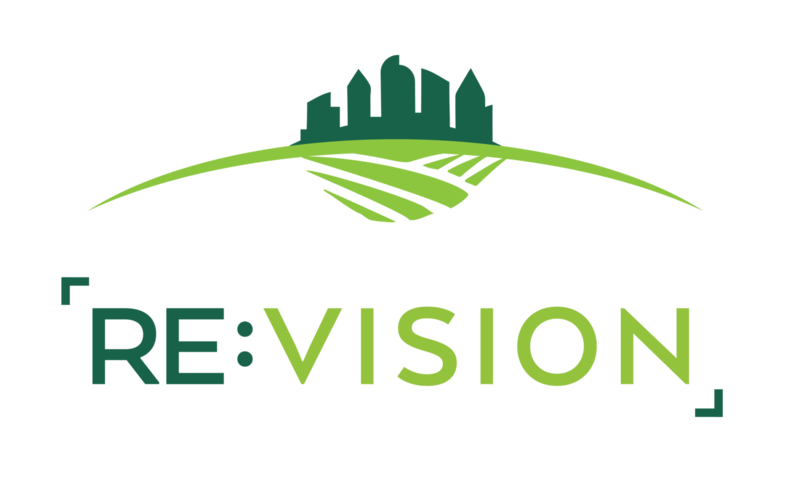 The Alliance Center is proud to partner with organizations like Re:Vision to create a better future for all. As we prepare to break ground on our own sustainable urban garden next month, we are thrilled to share Re:Vision’s story of the incredible, life-changing impact urban gardens can have on communities. At Re:Vision we believe access to healthy food is a right, not a privilege. Whether through teaching families to grow their own food with our Re:Farm program, or beginning to plant the seeds of community-owned wealth at the Westwood Food Co-Op with Re:Own, our purpose is to create a thriving, resilient community. We achieve that using a three main strategies; we cultivate community food systems (Re:Farm), develop local leaders with our Promotoras (Re:Unite), and grow community wealth by creating a locally owned economy (Re:Own). We believe by providing residents with tools, training, and inspiration, the community will come together to solve some of their most pressing issues. In 2009, Re:Vision started working in the Westwood neighborhood of southwest Denver. Westwood is bordered by Federal to the east, Sheridan to the west, Alameda to the north and Jewell to the south. You might know the area for its amazing taquerias and Vietnamese food. What you might not know, is Westwood faces significant health and economic disparities because of decades of underinvestment and inadequate resources; 37% childhood obesity rate (compared to the state average of 27%), and while Westwood has the most residents under the age of 18, it also has the fewest open spaces and parks in Denver. The average household income is less than half the Denver average, and less than 4% of the population has a college degree. There are no supermarkets, schools are overcrowded, and it is dangerous for youth to walk through the neighborhood. Yet, despite decades of neglect, Westwood is one of Denver’s most vibrant and diverse neighborhoods, where 84% of residents are Latino, and approximately 60% of whom are first generation immigrants. So, with all of these alarming statistics, why focus on food access and sustainability? Because that’s what the community wanted. When we spoke with residents, they mentioned a desire to be able to grow their own food as not only a means to save money on their grocery bills and improve access to and consumption of healthy foods, but also as a way to reconnect with the land. Many of our community members have agricultural backgrounds, and had to give those up in Denver’s more urban setting. They also gave up traditional ways of cooking because fresh produce, like chiles, and various herbs needed to cook certain dishes weren’t accessible, due to their price or actual availability. When budgets are limited, often times families are forced to make a choice between purchasing foods that will go a long way (think processed and shelf-stable foods) and produce. With the Re:Farm program, families don’t have to make that choice. Their gardens yield enough produce to feed the family and often times their neighbors as well. And if they have excess produce, they can take a variety of classes at our educational kitchen, La Cocina, to learn new culturally relevant farm-to-table recipes, or how to can and preserve so they can enjoy their produce year round. Families who participate in the Re:Farm program report continuing to eat more fruits and vegetables even in the off season. What began with teaching seven families how to grow food in their own backyards, is now a thriving program changing food access in one community. To date, Re:Vision’s Re:Farm program has helped families throughout southwest Denver establish 1,765 annual gardens, collectively producing more than 500,000 pounds of fresh produce and saving those families over $1 million in grocery bills. In this current 2018 season, we have just over 260 families participating in the Re:Farm program.